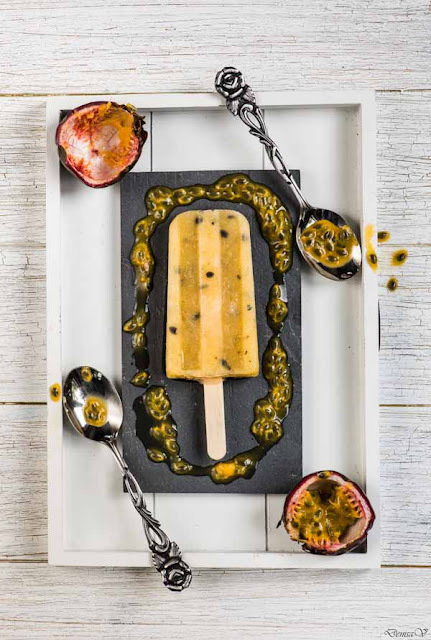 I know, summer is gone, but can you resist to a passion fruit ice cream? I cannot, sorry. Pour this juice in ice cream molds and freeze for at least 6 hours. Take out the ice cream molds and put them 30 seconds under warm water, for the ice cream to be easily removed.